Udagamandalam, or Ooty as it is commonly known, is one of South India’s most popular hill stations. 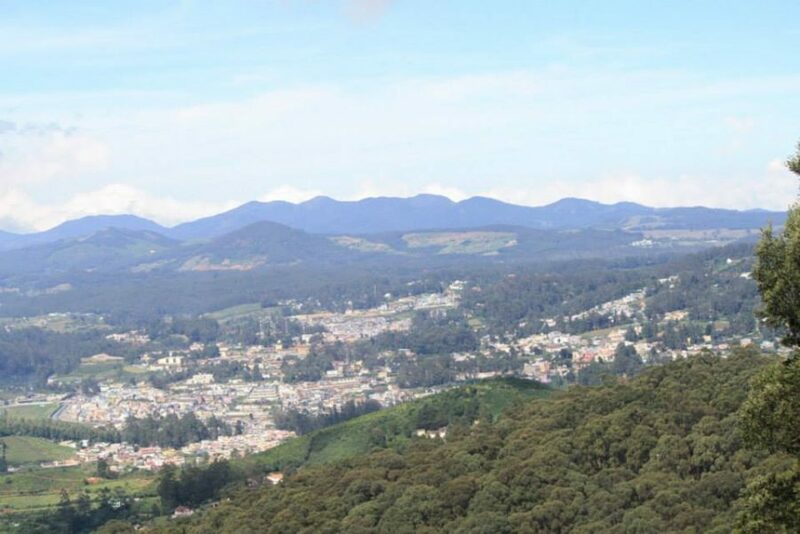 Rightly known as the Queen of the Nilgiris, Ooty is located in the Western Ghats at a height of approximately 7,500 ft. It offers verdant valleys, breath-taking lakes, majestic hills, and tea and coffee plantations. And if that isn’t enough, it has no dearth of exotic flora and fauna. Even the roads here are lined with countless eucalyptus trees, making them picturesque. Ooty is one of the world’s 14 biodiversity hotspots, thereby lending itself to wonderful trekking sites. Treat yourself to different land routes such as Mudumalai National Park, Doddabetta Peak and Pykara falls, that are also beautiful tourist spots in their own right. Exploring the Nilgiri Hills on horseback is an enjoyable way to sightsee. Most horse-riding enthusiasts go to the North Lake and ride on the hillsides and lush grasslands. Travellers with a thirst for thrill must definitely try hang gliding. An Ooty vacation is the best time to tick this off your bucket list, since Kalahatty (20 km from Ooty) offers splendid hang gliding opportunities. However, this activity is only open from March to May every year. Ooty has a dedicated mountain bike park, a boon for adventure enthusiasts. The bumpy trails of the park are perfect for biking, with a modest fee of INR 10 for each lap. A stay at Club Mahindra Ooty resort is just what you need after a day of adventure. Club Mahindra reviews of our resorts will tell you how families are enjoying their holidays with Club Mahindra. Signup for a Club Mahindra membership for exclusive offers and magical holidays for the next 25 years at 50+ resorts in India and abroad. This entry was posted in Ooty and tagged adventure activities in ooty, ooty adventure activities, ooty travel india. Bookmark the permalink.